During the 2017 session, legislators introduced a number of bills that would have negatively affected our electoral process. With your help we were able to halt these attacks on democracy. 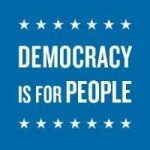 In a nutshell: a bill to repeal public financing for Supreme Court candidates was defeated, strict voter ID was rejected, and automatic voter registration was saved, while a bill to a that raised contribution limits and created new loopholes to allow more secret money into our elections languished in the final days. Keep reading to learn more about what you helped us accomplish, as well as the work that still needs to be done to restore balance to our political system, end secret money in West Virginia elections, and ensure that eligible West Virginians have their voices heard and their votes counted. Early in the session, we were able to defeat SB 463, a misguided attempt to eliminate the WV Supreme Court of Appeal Public Campaign Financing Program. Fortunately, member s of the SenateJudiciary Committee listened when we reminded why the Legislature had established the program, which was intended to help restore confidence in our Supreme Court following a series of scandals involving sitting justices and major campaign contributors. We also remind them that there was no financial benefit to repealing the program now. The Legislature made the program permanent in 2013, without specifying how it would continue to be funded, and most of the money previously allocated to the program has been spent. Although the bill was voted down by the committee, saving the program for now, securing a dedicated and permanent source of funding for the program is essential to its long-term success and viability, and doing so is likely to be a challenge as the state continues to struggle to balance and fill holes in its budget. So we will need to get creative if we want to continue this program, which is working as intended, giving qualified candidates for the court the ability to run without having to rely on contributions from lawyers and special interest contributors (who frequently have cases before the court), and providing a pathway to the bench for those who aren’t independently wealthy. The same week the public financing repeal bill was introduced in the Senate, members of the House of Delegates introduced a bill (HB 2781) to impose strict identification requirements on West Virginia voters and to repeal the automatic voter registration (AVR). Fortunately, a House Judiciary subcommittee considering the bill passed a revised version that maintains the wide variety of ID options allowed under the law the Legislature passed last year. The watered-down bill also keeps AVR in place, but gives the DMV more time (until July 1, 2019) to upgrade its computer systems and software, and implement the program. Although the House also applied the later effective date to the voter ID provisions of the bill, the Senate amended the bill to make the voter id requirements effective in 2018. The House agreed to this change and sent the bill to the Governor. With these proposals defeated or neutered, that left a terrible campaign finance overhaul bill (SB 539) alive and well in the waing days of the session. The bill would have decreased disclosure of political spending while also increasing the amount of money that can be given to the candidates, political action committees (PACs), and political parties. 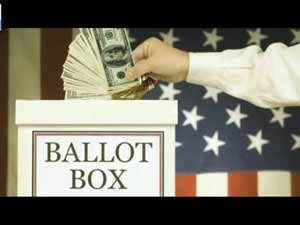 Having rejected attempts by Senate Democrats to amend the proposal to require disclosure of ‘dark money’ by closing loopholes in the law that make it possible for groups that spend money on political ads to hide the identity of their donors, the Senate passed the bill on a 21 to 12 party-line vote. Fortunately, SB 539 was not taken up by the House Judiciary Committee. We’re glad the bill died, but disappointed that the Legislature didn’t pass a strong disclosure bill that would discourage negative attack ads, give candidates the ability to respond, and inform voters about who’s trying to influence their votes. Instead of passing an meaningful disclosure bill, the Legislature passed HB 2319, which merely expedites the reporting of campaign contributions received by legislative candidates at fundraising events held while the Legislature is session. Under the bill, legislative candidates must report any fundraising events and all contributions received at such events within five business days. We appreciate that the bill’s sponsors want to address the perceptual problem of legislators hosting fundraisers, and receiving campaign contributions from lobbyists and others while the Legislature is in session. However, if the Legislature wants to get serious about disclosure of campaign cash, they should make sure every secret money group – progressive and conservative – attempting to sway election results has to disclose the source of the money. In addition to HB 2319, two other election bills of interest were passed by the Legislature and sent to the Governor. HB 2364 clarifies that restrictions on electioneering near a polling place on election day also apply to early voting locations. The bill also changes the current 300-foot rule to 100 feet so that the state will conform with other jurisdictions, as well as a recent court rulings that have deemed 300 feet to be too restrictive. The bill also provides exceptions to the electioneering prohibitions for persons upon their private property (such as bumper stickers on cars); and clarifies that electioneering on private property near polling places must conform to other existing laws and ordinances.